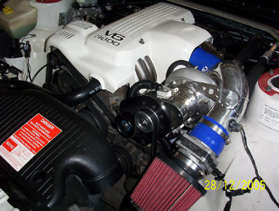 Supercharger systems for the Holden Ecotec V6, the Raptor systems are unmatched in developing terrific power gains for a reasonable price. 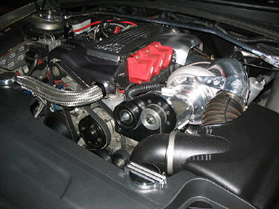 A polished supercharger is optional if you need your ride to be looking great under the bonnet. As a side note we recommend all automatic transmission cars being fitted with Raptor Intercooled systems should have a Stage 1 shift kit installed for best transmission performance. These systems are not matched for performance for $$$ by any other system available.